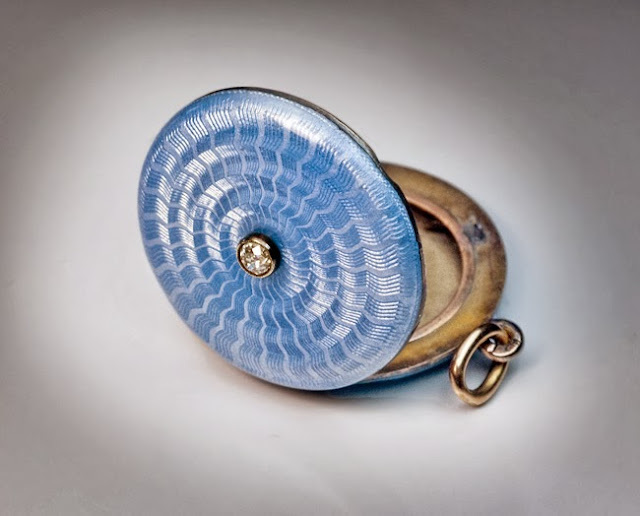 It's Fabergé Friday, and today I give you a pendant locket! It was made by Andre Adler, sometime between 1908 and 1917! 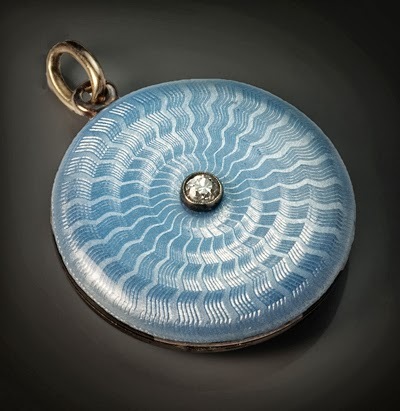 The locket is made of gilded silver and gold, and covered in pale blue enamel over a guilloché ground, forming wavy lines in a sunburst pattern. In the middle of the lid sits an Old European cut diamond. 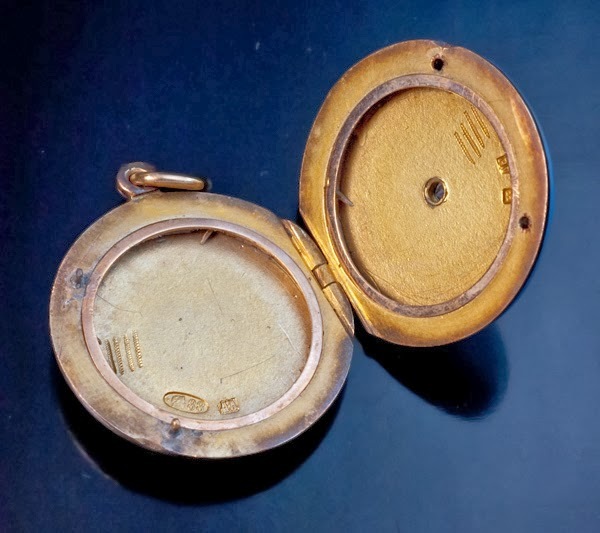 The inside of the locket is fitted with two rose gold miniature picture frames. The diameter of the pendant is 1.1'' (2,7 cm), and it's for sale at Romanov Russia for the slight sum of 6,500 USD! I really like this myself Miss Meadows, I can definitely see Dainty Doll's shell view on it, I hope you have a great weekend too beautiful!